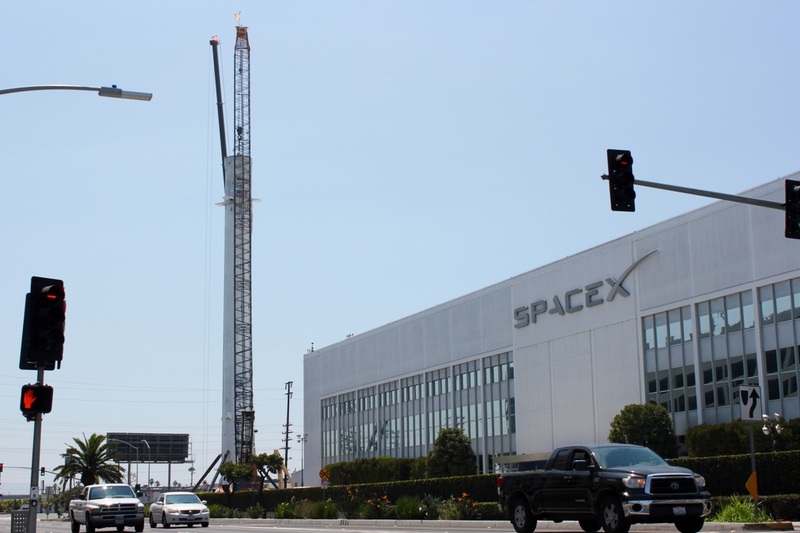 SpaceX has filed a request with the Federal Communications Commission (FCC) to launch up to 4,425 geosynchronous satellites into orbit with the goal of bringing low cost internet service to the entire world. How many satellites is that, exactly? Let’s put it this way. If the entire plan was implemented, it would triple the total number of satellites orbiting the earth today. According to The Hacker News, SpaceX says “The system is designed to provide a wide range of broadband and communications services for residential, commercial, institutional, governmental and professional users worldwide.” End users would have access to speeds of up to 1 gigabit per second. The idea of creating a global internet service was first suggested by SpaceX in January, 2015 as part of Musk’s colony on Mars vision. Back then, Musk said the entire project would cost at least $10 billion. The new proposal submitted to the FCC does not mention anything about costs. Not all those satellites would go up at the same time. The proposal calls for launching 800 satellites initially to cover the US, Puerto Rico and the US Virgin Islands. Orbits would range from 715 miles to 790 miles above the earth. Each satellite would weigh 850 pounds and cover an ellipse about 2,120 meters wide. “Once fully deployed, the SpaceX System will pass over virtually all parts of the Earth’s surface and therefore, in principle, have the ability to provide ubiquitous global service,” says SpaceX. Musk isn’t the only one with his eyes on the skies. Facebook, Google, and Microsoft, are in the race to bring Internet connectivity to unconnected parts of the world through wireless devices, flying drones, high altitude balloons, or laser beams. OneWeb — a venture backed by Airbus, Virgin, Bharti, and Qualcomm — and Boeing have also filed applications for spectrum to support satellite-based Internet. One thing no one is talking about is who would control these systems when and if they are built. The recent election has amply demonstrated that what has now been dubbed the “splinternet” is capable of actually subverting traditional journalism and replacing it with inaccurate information. While the idea of giving everyone on earth access to the internet seems like a boon to the collective good, it could also be used strictly to stream uninterrupted, mind numbing content that will turn us all into digital zombies. Years ago, Marshall McLuhan suggested, “We shape our tools and thereafter our tools shape us.” Perhaps a little thought should be devoted to thinking about how this modern miracle will be used before it is put in place. Will the system be a tool for enlightenment or a device to enslave the masses? “Both,” is probably the correct answer.